Clth, 13.5 x 9.5 in. / 88 pgs / 63 color. 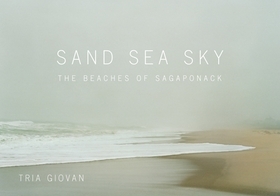 Featured photograph is reproduced from Tria Giovan: Sand Sea Sky. "The coast is an edgy place. It presents us with certain stark realities and wild, bare beauty. It’s a place of tide and tantrum. Continent confronts ocean. Weather intensifies. 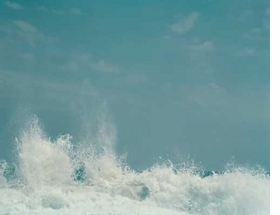 Land and shores enter tense negotiations with an ocean that gives much, but demands more. Each year the raw rim of this coast gets hammered and reshaped like molten bronze. This place roils with power, and a sometimes terrible loveliness. The coast remains youthful, daring, uncertain about tomorrow. The guessing, the risk; we’re all thrill-seekers here." Carl Safina, excerpted from his essay, "Even More than Meets the Eye," reproduced in Sand Sea Sky. FORMAT: Clth, 13.5 x 9.5 in. / 88 pgs / 63 color.